The listing is a little light this week, but still capable of lifting your spirit and reminding you of that for which you are thankful, which may include certain foods that are part of the day. And at this point, many of us may be reminded that we have much to be thankful about. However, events of the past few weeks also remind us that we have a way to go to reach the ideals that are celebrated with Thanksgiving. I am certainly thankful to have many of you in my life on a regular basis. And though I say it most every week, I discovered once again that it is absolutely true that music has the power to lift your spirit. Jay Young and the Advisory Committee @ Jazz Central, Minneapolis. 8:30pm ($10 Suggested Donation) Depending on whether or not you’re hosing Thanksgiving, you may have the time and inclination to hear some new music. Tonight, bassist Jay Young picks up the piccolo bass once again, and leads a group consisting of: Gary Raynor, bass; Pete Whitman, saxes; and Jay Epstein, drums. Davina and the Vagabonds @ The Dakota, Minneapolis. 7pm (Wed, Thurs), 8pm (Fri) $15) After being absent from the local scene all summer due to touring, Davina and the guys come back with a vengeance for this three night gig, which is certainly a rarity these days. Whether you’re pre or post the big dinner, Davina’s stirring vocals and the unabashed energy of the Vagabonds will get you jumping in your seats, if not elsewhere. Swingbeat Big Band @ Wabasha Caves, Saint Paul. 7pm ($8) Moved from Thursday night this month, Swing Night at the Caves features the Swingbeat Big Band. You’ll see folks of all ages out on the dance floor. Bring dancing shoes, keep them clean, and no bare feet on the floor. Paul Harper Chordless Quartet @ The Nicollet Cafe, Minneapolis. 9pm (Tip Jar) Saxophonist Paul Harper leads Steve Kenny, Flumpet; Tom Lewis Bass; and Matt Buckner, drums. Levi Schwartzberg Project @ Jazz Central, Minneapolis. 10pm ($10 Suggested Donation) Young vibist and pianist Levi Schwartzberg gathers some like-minded musicians to perform Schwartzberg’s originals and, I’m assuming, some jazz standards. Beside Levi, the group includes: Thomas Stromman, tenor; Jackson Mullet, trumpet; Drew Stinson, bass; and Benjamin Beyene drums. Jazz @ Barely Brothers Records, 783 Raymond Ave, Saint Paul. Noon – 5pm. (Free) Owners Mike and Spencer are doing a good job of finding ways to bring folks into their vinyl emporium. Today, bassist Adam Linz (a part-time worker at the store) brings in four groups to play, including the Dominican Crisis Quintet at noon; Ted King at 1pm; the “Pony Show Edition” of Le Percheron at 2pm, and The Dakota Combo at 3pm. The show is free, but you may be very tempted to purchase of something from the store. Pat Mallinger @ Vieux Carre, Saint Paul. 9pm. ($12) Alto saxophonist Pat Mallinger returns to his home town for a regular gig while visiting family. He’s always appeared at the Artists Quarter in the past, so it’s appropriate for him to play the Vieux. Tonight he’ll be joined by Chris Lomheim, piano; Andrew Foreman, bass; and Kenny Horst, drums. Mallinger lives in Chicago, and his late night gig at the Green Mill there has been going on for 20 years or so, and recently featured on Christian McBride’s Jazz Night in America. Here’s a video from an AQ performance of a few years back. Saturday Night Jazz @ The Blackdog Coffee and Wine Bar, Saint Paul. 7pm (tip Jar) First up is Steve Kenny’s Group 47, able to play because pianist Will Kjeer is back in town for the holiday. Followed at 8:30pm by Dave King’s Vector Families, one of the drummer’s many bands: Dean Granros, guitar; Anthony Cox, bass; Brandon Wozniak, sax. Peg Carrothers @ Studio Z, Saint Paul. 7pm ($10 Advance, $15 Door) Vocalist Peg Carrothers is celebrating the US release of her album Edges of My Mind, which has already been released in France and has sold over 1000 copies, which is quite good for a jazz release in this download era, especially in one country. She’ll be joined by husband and pianist Bill Carrothers, as well as Dean Magraw, guitar and mandolin; and Billy Peterson, bass. This is part of the Jazz at Studio Z series, and as always, there will be a master class at 6pm, where Peg will discuss being the Singer in the Band. Attend the master class and the concert is only $10. Here’s something from the album. Pat Martino Trio @ The Dakota, Minneapolis. 7pm ($32), 9pm ($20) Guitarist Martino began playing professionally after he dropped out of 10th grade in Philadelphia to play in that city’s burgeoning rock scene, touring with organist Charles Earland,m and recruited by Lloyd Price to play in his band. He played in the organ trios of Jack McDuff and Don Patterson, as well as with organ groups led by Willis Jackson. After suffering from a severe brain aneurysm, he could hardly remember anything, including his parents, and his ability to play. The award winning guitarist learned to play again by listening to and playing along to his own recordings. Tonight he’ll be accompanied by Pat Bianchi, Hammond organ; and Carmen Intorre, drums. For a comprehensive listing of Jazz go to the Twin Cities Live Jazz Calendar. KBEM provides a calendar of jazz and roots music. For further commentary on Twin Cities jazz, check out the blogs, Jazz Police, Jazz Ink, and Bebopified. Nikki & the Rue-Mates on KFAI and @ The 331 Club, Minneapolis. 5pm (90.3 and 106.7FM), 7pm (331 Club, Tip Jar) Nikki and the Rue-Mates are deserving of a wider audience for their Sixties style Folk-Rock and Folk-Blues, filtered through a much younger generation. Besides Nikki on vocals and guitar, the Rue-Mates are Rich Rue, guitar; Jon Olson, bass; and Jimmy Tollesrud, drums. I don’t know if all four will show up for the radio show, but they’ll be on stage for the 5th or 6th Thanksgiving Eve show in a row. Here they are sans drummer. A Tribute to Joe Cocker @ Pepito’s Parkway Theater, Minneapolis. 8pm ($25) Forty-five years after Joe Cocker made his Twin Cities appearance at what is now First Avenue, a bunch of Sterling musicians, including Mick, take the stage in this show. Featuring, besides Mick, 13 other musicians, including Bobby Vandell and Scott Sansby among 4 drummers, Melanie Rosales and Cate Fiero on vocals, Billy Franze on guitar, and Serge Akou on bass. Word on the street is that this is a hot show. Steve Clarke & the Working Stiffs @ Crooners Lounge and Supper Club, Fridley. 7pm (No Cover) Saxophonist Clarke, winner of six Minnesota Music Awards, leads the Working Stiffs through some jump blues, swing, and a bit of jazz. Here they are doing an old Cab Calloway number. The Butanes @ Shaw’s, NE Minneapolis. 8pm (No Cover) Work off those turkey blues with the Twin Cities best blues band, and the guests that show up each week. If you can dance in tight spaces, you may even be able to work off some mashed potatoes. Jimmi & the Band of Souls @ Wilebski’s, Saint Paul. 6pm ($?) It’s the third anniversary for Ted and Jennifer Wilebski, and Jimmi & the Band of Souls will provide the soundtrack for the party: high energy blues, R&B, and a touch of gospel. Pat Donahue @ Crooners Lounge and Supper Club, Fridley. 7pm (No Cover) This Grammy winning fingerpicking guitarist with a pleasant voice will be joined by Dan Newton on accordion, and Gary Raynor on bass. I’m thinking there will be more band members to fill out the sound. The Silvertones @ Schooner’s Tavern, Minneapolis. 8pm (No Cover) Here’s a show for baby boomers and others who want to dance but don’t don’t want to make a big deal of going out. The funky, comfortable Southside tavern might be considered a dive, but it’s too well cared for. The Silvertones are a 60s cover band, plain and simple, with a repertoire that ranges from Girl Groups to the Byrds, to Steppenwolf to Stax Soul. Add in the inexpensive drinks, a few friends, and you’ve got a recipe for a fun evening. High and Mighty @ The Minnesota Music Cafe, Saint Paul. 9pm ($10?) This eleven-piece horn band has a repertoire that ranges from Joe Cocker and classic Motown, to Kool & the Gang, The Black Eyed Peas, Lady Gaga, and Amy Winehouse. Bring your dancing shoes. Here’s a video with a number of samples of their work. Jimi Hendrix Remembered @ The Cabooze, Minneapolis. 9pm ($15) This tribute show has been going on for 23 years now. Tonight’s extravaganza features such mighty performers as Billy Franze, Julius Collins, Jeremy Ylvisaker, and Jellybean Johnson. The World’s Most Dangerous Polka Band @ The Turf Club, Saint Paul. 1am – 3pm (Free) Nye’s house band began in 1975, which makes it older than many of its fans. It brings its polkas, waltzes, foxtrots, and more to Saint Paul on the last Sunday of every month for brunch, which includes Polish brunch items and sausages from Kramarczuks. Daddy Squeeze & Friends @ The Eagles Club #34, Minneapolis. 7:30pm ($8) There’ll be spinning, dipping, and two-steps galore at this bi-weekly Cajun/Zydeco dance. Master of the “Stomach Steinway” Dan Newton will bring along some of his pals to provide the beats and melodies for dancers. I’m sure that eventually, we’ll get some Minnesota-worthy winter weather, but for right now, the moderate temps we’ve been experience is just fine. One reason is that it’s easier to get out and enjoy our incredible music scene, which this week encompasses visiting artists, old friends, and new groups. Music lifts the spirit. Arne Fogel & the Wolverines Trio @ Crooners Lounge and Supper Club, Fridley. 7pm (No Cover) Whether he’s singing the songs from the Great American Songbook, or those of Der Bingle and Ol Blues Eyes, Fogel will transport you back to the heyday of Martinis and cool cats in tuxedos, and what better place to hear him, accompanied by Rick Carlson, piano; Steve Pikal, bass; and Jendeen Forberg, drums. Sisters @ Jazz Central, Minneapolis. 8:30pm ($10 Suggested Donation) Ahh, irony as found in band names. The Sisters are actually the trumpet duo of Jake Baldwin and Noah Ophoven-Baldwin, two young lions who will explore all the tonalities and improvisational capabilities of the trumpet. Cardenas & Zuther Sing Tapestry @ Jazz Central, Minneapolis. 7:30pm ($10 Suggested Donation) Young vocalists Katia Cardenas and Sheridan Zuther both perform jazz and R&B with aplomb and style. Tonight, they are taking on the music of Carole King, specifically the Tapestry album. It was King’s first solo album, and though she was known in the industry for her songwriting skills, with hits too numerous to mention, Tapestry catapulted King to fame. They’ll be trading off songs, and doing occasional duets, accompanied by pianist Steven Hobert. McNally Smith X-Tet @ Vieux Carre, Saint Paul. 8pm ($5) Saxophonist Pete Whitman has taken his students at MacNally Smith and formed a crack band, and though it’s called an X-Tet, there are more than ten members. They’ve toured Peru, and have performed in various venues in the Twin Cities, Madison, and Chicago, while also taking first place at the Eau Claire Jazz Festival. Founder’s Celebration @ Crooners Lounge and Supper Club, Fridley. 4pm – 11pm. (No Cover) It was a year or so ago that Crooners opened, and since then they have done a fine job of booking a winning combination of straight ahead jazz, crooners, R&B dance bands, and roots music performers. Today they gather some of their regulars and throw in the busiest international band in the Twin Cities. Things start off with singer Mia Dorr at 4pm and continue with Patrick Allen, Gary LaRue, Andrew Walesch and Debbie Duncan, with Davina & the Vagabonds taking the stage at 8pm. Check out Davina. Cox, Greer, Healy, & Schimke @ Jazz Central, Minneapolis. 8pm ($10 Suggested Donation) Here’s a new combination of some of the area’s fine artists: Anthony Cox, bass; Sarah M. Greer, vocals; Corey Healy, drums, and Peter Schimke on piano. Jana Nyberg Group @ Vieux Carre, Saint Paul. 9pm ($10) Motherhood doesn’t seem to have slowed down Ms Nyberg too much. The teacher/vocalist brings her group, which includes trumpeter/hubby Adam Meckler, to the Vieux for an evening of jazz, pop, and R&B. He she is from a couple of years ago. Mama Digdown’s Brass Band and the Southside Aces @ Pepito’s Parkway Theater, Minneapolis. 7pm ($16.50) It’s a night of New Orleans’ music at the Chicago Avenue theater. The Aces take on traditional jazz, such as that of Louis Armstrong, along with their own versions of Duke Ellington tunes. They’ll be joined by special guests, the Beaujolais Sisters, who will pay homage to the music of the Boswell Sisters, and by chanteuse Vieno Paurus, who was well received at last year’s event. Mama Digdown, from Madison, take the brass band concept and infuse it with funky, modern beats. It’s an approach that has earned them worldwide tours and acclaim. Saturday Night Jazz @ The Black Dog Coffee and Wine Bar, Saint Paul. 7pm ($Tip Jar) Things get off to a swinging start at 7pm with the youngish Evan Benidt Group with Benidt, sax; Ted Olsen, bass; Lars-Erik Larson, drums. At 8:30pm it’s time for the return of What Would Monk Do?, the AQ group that wowed everyone a couple of weeks back: Kenny Horst, drums; Peter Schimke, piano; Chris Bates, bass; and Steve Kenny, Flumpet. Karrin Allyson @ The Dakota, Minneapolis. 7pm ($35, $40), 9pm ($25, $30) Vocalist Allyson can sing bop, bossa novas, blues, standards, and Coltrane, but right now, she’s concentrating on the music of Rogers and Hammerstein. Her latest album, “Many A New Day,” contains her version of their songs from productions such as South Pacific, Oklahoma, and The King & I. She’s accompanied on the album, which received a four star review in Downbeat, by Kenny Barron on piano and John Patitucci on bass. Listen to a cut from the album. Dave Karr Quartet @ Crooners Lounge & Supper Club, Fridley. 7p,m (No Cover) Outstanding Bebop and Straight Ahead Jazz from a master of the saxophone and flute. He’ll be accompanied by the crack rhythm section of Chris Lomheim, piano; Gordy Johnson, bass; and Phil Hey, drums. Rockin’ Johnny & Jeremy Johnson on KFAI and @ The 331 Club, Minneapolis. 5pm (90.3 & 106.7FM), 7pm (331 Club – Tip Jar) The House Party is presenting Chicago guitarist Rockin’ Johnny Burgin, along with resident guitarist/drummer Jeremy Johnson. Rockin’ Johnny has toured with Sam Lay and Pinetop Perkins, recorded for Delmark, and has become an in-demand guitarist for recordings by such folk as Billy Boy Arnold, Tail Dragger, Paul DeLay and others. Johnson may be best known in town for his incisive playing with Big George Jackson. Tune in and if you like what you hear, then head over to the 331 Club. Here’s what he sounds like. Lonesome Dan Kase @ Vieux Carre, Saint Paul. 6pm – 8pm (No cover) The Vieux is doing a good job of bringing in solo and duet artists early in the evening, while some folks may be dining on gumbo, muffalettas, or po boys. Case in point is Lonesome Dan Kase performing traditional blues and hollers, and fingerpicking Piedmont style. Rockin Pinecones @ The Eagles Club, Minneapolis. 7:30 – 10:30pm ($5) The Pinecones present New Orleans R&B, along with some Cajun, Zydeco, and Swamp Pop, for your dancing pleasure. Carminho and Sara Tavares @ The Dakota, Minneapolis. 7pm ($45 – $55) A double bill of world music. Sara Tavares is a singer-songwriter from Cape Verdean, while Carminho is a fado singer from Portugal. Both have beautiful voices capable of stirring your emotions. Here’s Carnimho. International Reggae All-Stars @ JJ Hill Library, Saint Paul. 7pm ($10) The beautiful reading room at JJ Hill will reverberate with the snaky beats of Reggae. The International Reggae All-Stars, with members from Venezuela, Trinidad, Liberia, St. Croix, and Jamaica, come over to Saint Paul perform in the second of a series of world music concerts. Cactus Blossoms @ The Landmark Center, Saint Paul. 8pm ($25) Red House Records presents the Cactus Blossoms who perform close-knit harmonies that could only come from brothers, of original country songs you would swear were released in the 50s or 60s, along with a few that are actually from that era. Kelly Hunt @ The Dakota, Minneapolis. 7pm ($25), 9pm ($20) This piano playing blueswoman is so popular here in the Twin Cities that she’s performing here on a regular basis. The Kansas City native can tell a heckuva story in song, and her high energy piano playing rollicks with the best of them. Sambra Oilor: the Music of Romania @ Celtic Junction, Saint Paul. 7:30pm ($15) The debut performance of a new band featuring Katrina Mundinger playing a taregot, an Eastern European woodwind instrument that’s integral to Romanian music. There will be dance lessons at 7:30, followed by live music at 8:15. Mundinger is a founding member of Orkestar Bez Ime, so there’s a good possibility the dancing will be lively, if not downright raucous. John Nemeth @ Famous Dave’s, Minneapolis. 9pm ($7) Soul Blues from harp-slinger Nemeth, an award-winning Memphis musician who brings a fresh, energized perspective to his music. Paul Cebar’s Tomorrow Sound @ Lee’s Liquor Lounge, Minneapolis. 9pm ($12) The Neon Lights, the Wooden Dance Floor, the Elvis Liquor Bottles. They all provide the perfect ambience for enjoying the highly danceable mixture of R&B, Latin Rhythms, and witty wordplay of Paul and his bandmates. Pat Donahue & Dan Newton @ The Amsterdam Bar & Hall, Saint Paul. 4pm (Free) Here’s a delightful way to spend a Sunday afternoon, with ace guitarist Pat Donahue and ace accordion player Dan Newton Both are quite versatile and adapt at a number of styles, so it’s hard to say what they’ll be doing, but they’ll probably play some blues, some swing, and even some country, but rest assured, it will be fun. fDeluxe @ The Dakota, Minneapolis. 7pm ($45) This benefit for the Southdale YMCA give you a chance to dig the classic Minneapolis Sound of fDeluxe, which started out as The Family some 30 years ago. They only performed one concert, and recorded one album back then, yet had two worldwide smashes, while Sinead O’Conner had a 1990 hit with their tune Nothing Compares 2U. They reunited in 2009 with a new name, and have played a number of high profile gigs since then. Members include: Susannah Melvoin, Paul Peterson, Eric Leeds, and Jellybean Johnson. Regina Carter may be the most popular jazz violinist playing today, having recently won the 2015 Downbeat Reader’s Poll for violinist. As a youngster, Carter played in the youth division of the Detroit Symphony Orchestra and took master classes from both Itzhak Perlman and Yehudi Menuhin. Carter moved to New York City in 1991 as a relative unknown, and got work accompanying such artists as Aretha Frankly, Mary J. Blige, Billy Joel, and Dolly Parton. She played with Max Roach and Oliver Lake and toured with Wynton Marsalis in his Blood on the Fields tour. In 1995 she released her first album as a leader, and since then has released eight more, including one with pianist Kenny Barron. In the early part of the new century she was invited to Italy to play a concert using Paganini’s Violin, made in 1743 and bequeathed to the city of Genoa. Carter was the first jazz musician and the first African American to play the instrument. Afterwards, she released an album of classical music entitled Paganini: After a Dream. In 2006 Carter was awarded a MacArthur Fellows Program grant, which is often called a “genius grant.” The awarding committee noted her mastery of improvisation, and her wide range of musical influences. Carter has released a series of albums that reflect her journey in life: Motor City Moments, an homage to her hometown; I’ll Be Seeing You, a tribute to her mother; and Reverse Thread, a collection of modern and traditional songs of Africa. Her latest release is Southern Comfort, which explores the music of her grandparent’s South. Her grandfather was a coal miner in Alabama, and she takes on music from the coal-mining world of the Appalachia’s, which she discovered through research at the Library of Congress. There she searched the field recordings of renowned folklorists such as Alan Lomax and John Work II. The album includes tunes such as Honky-Tonkin’ by Hank Williams, and traditional songs such as See See Rider and Miner’s Child. While researching her personal history, she did some DNA testing and discovered that she is part Finnish, which will undoubtedly provide her with more potential material. I was able to talk with her in January of 2015, when we were both on The Jazz Cruise. The following is a slightly edited version of that talk. LE: As I understand it, violin was not your first instrument. How did you go from piano to violin? LE: How old were you at the time? RC: So my teacher said, “Let’s take her out of lessons. Let her create her own, I don’t want to kill her creativity. When she gets older, maybe I can come back.” Then when I was four Suzuki (method of teaching) was offered for the first time. She called my mother and said told her to enroll me in Suzuki violin because they teach by way of hearing first. She thought it would be great for me. I fell in love with violin, the whole method, and here I am today (laughing) a hundred years later. LE: You learned classical music first. How did you go from European classical music to jazz? RC: In high school, my best friend Carla Cook, who’s a wonderful singer, and I met in ninth grade, and we sat next to each other in Spanish class. She’d come to school and talk about Eddie Jefferson and Miles. She was a big Eddie Jefferson fan. I had no clue about who any of these people were. So she’d bring records of Stephane Grapelli, Jean-Luc Ponty, and Noel Pointer, and that was my first introduction to this other music, other than European classical music. LE: At the show last night you mentioned Stuff Smith (a pioneer of jazz violin). Are there artists before Stuff Smith that you learned about? RC: Well yeah. When I was doing research there was Papa John Creach, even out of the South there were a lot of slaves playing the fiddle for entertainment. Even doing the research for my latest record, Southern Comfort, I was learning about those artists. It’s just been part of the music, the evolution. LE: Once you started to play jazz, was there anything different about technique, or the way you thought about music, from the European classical approach? RC: Every genre of music is like learning the slang of your own language for a different language. If you want to fit in, you have to learn that slang. So I just had to learn the slang. I’m still trying to learn it. It’s a little bit different vocabulary, and the way you approach it, so I had to really listen and try to learn the way they pronounced words and the pattern of how they said it. So I approached it just the way I learn a language. LE: The albums that you’ve put out have all been somewhat thematic: one with your Mom’s favorite songs; one for your hometown of Detroit; one for Africa. Now you have Southern Comfort. Is there a particular reason you take that approach? RC: In the beginning, when I was signed to a label, I wrote most of the music for the first album and most of the second. That was on Atlantic, and when I signed to Verve, my A&R guy said, “No, we don’t like your original music. It sounds too much like the music that was on Atlantic.” They thought that theme records gave the publicity department something to work with. Then, I took about a year or so off, after I got the MacArthur grant. My mother died right before that, so I had a lot of life changes, and asked myself, “What do I want to put out? What do I want to say?” So I guess the theme records are my journey, trying to figure out who am I? Why do I play? What am I doing here? Because, I think we all have a purpose here. LE: You mentioned the MacArthur grant. What did that allow you to do? It has no strings to it, as I understand. RC: That was really hard to accept at the beginning. (laughing) I though what? No one ever just gives you anything. In the beginning it gave me time off to maybe mourn and to figure out what is it that I really want to do, without anyone telling me what I really have to do. That’s really powerful. And… I think that’s when the search really started, so that’s what my music, and my records, look like now. 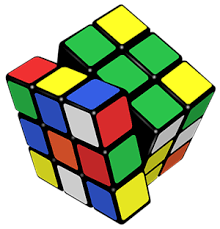 I’m finding out (the answers). LE: On Southern Comfort, you looked back at some of the music your grandfather heard, was there anything that was particularly surprising that you discovered? Southern Comfort, Carter’s latest release. RC: What I discovered was that some of this music I thought I had heard, maybe it was something form my grandmother. I didn’t know my grandfather. He died before I was born. So I when I went back to (my grandmother’s) house with my grandmother and all of her sisters, and we’d just be thrown in a bed with a bunch of our cousins. No bathroom, just an outhouse. So it’s a really different way of living. Someone, not necessarily my mother or grandmother, would rock me to sleep at night, and they’d sing these songs. So some of these things I’d hear, and I’d think, I know that. But then we’d travel and go to Europe and people would say, we know that song. All kinds of cultures came (to the United States) and migrated to the South. That’s what make up the Appalachia sound. LE: Now are you moving on to another project? RC: I’m trying to dig in deep now with this Finnish part, to see if I’m really Finnish. If I am, then I want to check out that part of my family. LE: There’s some pretty amazing Finnish music. Lots of fiddle music. LE: Well, thank you so much for your time. This week brings a few multi-day events to our fair cities. The Sound Unseen Festival is dedicated to screening films about music and musicians, while Zeitgeists’ New Music Cabaret gathers original musicians from a variety of genres. Add in some visiting musicians of note, both young and old, and our usual mix of talented resident musicians, and we’ve got another week with outstanding music. Remember, Music Lifts the Spirit. CB Trio @ Jazz Central, Minneapolis. 8:30pm ($10 Suggested Donation) Bassist about town Chris Bates can be found in a variety of groups, always adding a solid foundation, whether it be the modern jazz of the Atlantis Quartet, or the sonic explorations of the Good Vibes trio. Tonight he explores the piano trio format with the help of Javi Santiago on piano and Cory Healey on drums. Cameron Kinghorn Quartet @ Jazz Central, Minneapolis 7:30pm ($10 Suggested Donation) Kinghorn is a trumpeter and vocalist who has been featured in a number of bands about town, including the Adam Meckler Orchestra, Nooky Jones, and others. Tonight you can hear him sing withTed Godbout, piano; Andrew Foreman, bass; and Andres Crovetti, drums. Here he is on a slow jam with Nooky Jones. Zeitgeist’s 7th Annual New Music Cabaret @ Studio Z, Saint Paul. 6:30 Thurs, 7:30 Fri and Sat ($15/night or $35 for a 3 day pass) The new music ensemble once again brings a variety of artists in a variety of genres to their cozy Lowertown studio. Jazz fans will be especially interested in the music of Steve Kenny’s Wise Quartet of Kenny, Flumpet; Pete Whitman, sax; Jay Young, bass, and Phil Hey, drums; appearing Thursday at 9:30. The Dave Hagedorn Quartet plays Friday at 9:30, with Hagedorn on vibes and Chris Bates, bass; Phil Hey, drums; and Dave Milne, saxes. Trumpeter Solomon Parham takes the stage on Saturday at 7:30, where he’ll be joined by Peter Schimke, piano; Ernest Bisong, violin; Eric Solberg, bass; and Rodney Rocques, drums. There are other interesting performances as well, by the Marimba Bullies, Gao Hong on the Highway, Alyssa Anderson & Jeffrey Kyle Hutchins, and of course, Zeitgeist will perform each night. Here’s Solomon Parham, soloing on a number with Eric Gravatt. Friday Night Jazz @ The Nicollet Cafe, Minneapolis. 7pm (Tip Jar) Things get started with the JazzINK Youth Showcase featuring the highly talented Jordan Anderson Quartet: Anderson, piano; Gerhardt Robinson, reeds; Alma Engebretson, bass; and Simon Petrick, drums. At 8:30, Rare Medium takes the stage to showcase their engaging fusion of jazz and funk: Jaim Zuber, guitar; Aaron McCabe, trumpet; Joan Hutton Sax; Ryan Johnson, drums; and Joshua Stallings, bass. Here’s a clip of Rare Medium. Eric Kamau Gravatt & Source Code @ Walker West Music Academy, 760 Selby Avenue, Saint Paul. 7:30pm ($15) Gravatt s a powerhouse drummer with a well-deserved national reputation, especially know for his work with McCoy Tyner and with Weather Report, though he’s also played with Joe Henderson, Freddie Hubbard, and Blue Mitchell, among others. He’ll be joined by stellar players: Chris Thomson, sax; Ron Evaniuk, bass; Dean Magraw, guitar; and Solomon Parham, trumpet. Charlie Christensen Five @ Jazz Central, Minneapolis. 8pm ($10 Suggested Donation) Though Christenson is a vocalist and keyboard player, his music is much more suited to the experimentation of Friday Nights at JC, rather than vocalist Thursdays. The Jazz Central site says tonight’s performance will blow your mind. Chjristenson studied at Lawrence University and received a Masters in Music Performance from the Manhattan School of Music. He currently heads up the Vocal department at MacNally Smith. Tonight he’s joined by another Lawrence alum, Adam Meckler, on trumpet, as well as Matt Edlund, drums; Katie Marshall guitar, vocals; and Patrick Horigan, guitar. Atlantis Quartet @ Vieux Carre, Saint Paul. 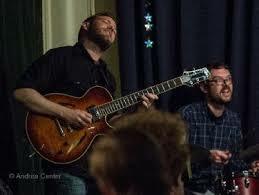 9pm ($10) This quartet of Zacc Harris, guitar; Brandon Wozniak, sax; Chris Bates, bass; and Peter Hennig, drums has become the prime example of modern jazz in the Twin Cities. Though the’ve received national praise for their 21st Century jazz, they are well aware of jazz classics, having performed their both A Love Supreme and Herbie Hancock’s Head Hunters in their entirety. Tonight they return to a room they played many times when it was the AQ. They even recorded their 2011 CD Lines in the Sand there. Here’s a snippet of them from a couple of years ago. Saturday Night Jazz @ The Black Dog Coffee and Wine Bar, Saint Paul. 7pm (Tip Jar) It seems to be MacNally Smith night at the Dog. The opening act tonight is Tempestad, a duo of Maria Vejdani and guitarist Tomas Simpson, who began playing together while attending MacNally Smith. Vejdani is classically trained, and currently has a Teaching Assistantship at the school, where she is studying for her Masters, and has branched out into jazz, R&B, work music and more. The Gerard Ahlgren Quintet is up at 8:30, led by trumpeter Ahlgren (also on the staff at MacNally) and featuring Lucia Armiento, tenor; Kelly Blau, guitar; Ry Dill bass; and Lars Johnson, drums. Here is Tempested. Nachito Herrera @ The Dakota, Minneapolis. 8pm ($15) The Cuban powerhouse pianist returns to his regular haunt to heat up the place with his playing. He’ll be playing Cuban classics, but has been known to throw in some Earth Wind & Fire as well as some classical music to the mix. Miss Myra & the Moonshiners @ Dakota Late Night, Minneapolis. 11:30pm ($5) Vintage jazz and barrelhouse blues, delivered with a bit of risqué sass. Miss Myra is a guitarist who has studied with both Papa John Kolstad and Dean Harrington. The Moonshiners include Zane Fitzgerald Palmer on lead guitar (Papa John Kolstad, & Cadillac Kolstad); as well as Sam Skavnak, clarinet; Angie Frisk, drums; and Ike Heath, tuba. Regina Carter @ The Dakota, Minneapolis. 7pm ($40), 9pm ($30) Violinist Carter is a wonder. She was the first jazz musician and first African American to be invited to play Paganinin’s violin, made in 1743 and bequeathed to the city of Genoa, Italy. She was also awarded a MacArthur Fellows Program grant, also known as a “genius grant” in 2006, which has allowed her to research and record the roots of her music, from her mom’s favorite jazz tunes to African music, to the folk music of the South, featured in her latest release, Southern Comfort. On Saturday, the 14th, I’ll be playing an interview with her on Rhythm and Grooves. Tune in at 10:30am to hear the show and the interview, along with a couple of songs from Southern Comfort. Here she is doing a classic folk/blues. Adam Meckler Orchestra @ Vieux Carre, Saint Paul. 8pm ($10) Since they don’t play that often, I almost always list this big band (17 pieces). Trumpeter/leader Meckler is an excellent composer and arranger, and he’s gathered quite a few young lions, as well as some veteran players, for the group. Here’s an example. Tommy O’Donnell Trio @ Crooners Lounge and Supper Club, Fridley. 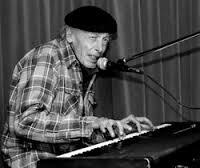 7pm (No cover) The veteran pianist teams up with the dynamic duo of Gordy Johnson, bass, and Phil Hey, drums. Another outstanding piano trio. Though the image is dark, you can get a good idea of O’Donnell’s playing in this video with Gordy Johnson. Eilen Jewell @ The Dakota, Minneapolis. 7pm ($23) Call it alt-country, Americana, rockabilly, or folk. It’s rhythmic, tight, and enchanting, as Jewell’s slightly smoky vocals propel a road-tested band. She’s become a first rate songwriter, and has delighted in past performances at the Dakota. Sound Unseen Festival @ Various Venues. There is too much in this multi-day event to go into much detail. Suffice it to say the opening night film is Mavis!, about Mavis Staples, and there are films about The Beatles’ arrival in America, Laurie Anderson, Mongoliasn rock, the Carter/Cash families, Deejay AM, an homage to Purple Rain and The Harder They Come set among the Sub-Saharan Tuaregs, and a screening of Gimme Shelter, among others. More information, including venues, times, and prices, can be found at: http://www.soundunseen.com Here’s a clip from Mavis! David Bromberg @ The Cedar Cultural Center, Minneapolis. 7pm ($30 – $40) Jerry Jeff Walker calls him “The reason man created stringed instruments.” With his wry wit and expert technique, Bromberg has been entertaining folk with a combination of blues, bluegrass, gospel, folk, drinking songs, and fiddle tunes. His recording sidemen have included George Harrison, members of the Grateful Dead, and more recently, Levon Helm, Vince Gill, Dr. John and a host of others. Past shows have sold out, so be forewarned. Check out his version of a Dylan classic. Radio Joe & the Jazzbo’s @ Crooners Lounge and Supper Club, Fridley. 7pm (No cover) Get out your dancing shoes, get spiffed up, and take your honey out for an evening of dancing to some easy swing, foxtrots, and the occasional jump tune. During the last year or so, guitarist Joe Demko (Radio Joe) and the Jazzbos have been entertaining dancers at the Eagles Club on a regular basis. They’ve also recorded many of their shows and have assembled a fine CD entitled Live!. It’s chock full of romance, with songs like I’m in the Mood for Love, Let’s Get Lost, and Unforgettable. It also features some Demko originals which comfortably fit right alongside those standards. The Jazzbos include: Bruce Wintervold, vibes; Keith Boyles, bass; and Tony Guscetti, drums. Joe appeared on Rhythm and Grooves this past Saturday, which you can listen to on the here. Eric Burdon @ The Medina Entertainment Center, Hamel. 7:30pm ($37 – $58) Can it really be 50 years since the sound of Eric Burdon and the Animals exploded from the radio as part of the British Invasion? Their songs such as It’s My Life, and Don’t Let Me Be Misunderstood expressed teenage angst with fury. Burdon went to sing with the very early version of War, getting a hit with Spill the Wine. He went solo in 1971 and continues to record and tour. Recent videos reveal that though his hair math be gray, he still has a strong voice, as heard in this video from a few years back. The Eddies @ The Dubliner, Saint Paul. 7:30pm – 10:30pm (No Cover) Three hours of enchanting songs about death, the sea, drinking and work, performed by the “almost acapella” quintet in a venue that could only be more fitting if it were in Dublin. Sweet Tea @ Vieux Carre, Saint Paul. 9pm ($8) Blues goes down well at the Vieux, and The Sweet Tea Band delivers in spades, thanks to the powerful vocals of Joyann Parker, who can easily sell songs associate with Etta James, Patsy Cline or Janis Joplin. The band has been growing its fan base by steadily gigging around town and the Midwest, and in January will be representing Minnesota at the International Blues Challenge in Memphis. B3 Blues, Feat. Yolanda Bruce and Julius Collins @ The Capri Theater, Minneapolis. 7pm Sat, 3pm Sun. ($25) The music of BB King, Bobby Blue Bland, and Brook Benton, (as well as others) sung by two terrific vocalists, and backed by a Hammond B3 organist. Blues for Kids @ The Minnesota Music Cafe, Saint Paul. 1pm – 5pm ($10 Suggested Donation) This is a benefit for Blues Studio for School, a program developed by Joey Filipovich of the MN Blues Society. The program is a six-week workshop that will start with pilot programs at East Ridge High School and Woodbury High. There will be performances by The Blue Cities, Squishy Mud, Armadillo Jump, and Sweet Tea. Paula Cole @ The Dakota, Minneapolis. 7pm ($35 – $42) Singer/songwriter Cole toured with Peter Gabriel in ’94, performing the primary female vocals and being featured in duets. She has released seven albums in the years since, winning a Grammy as Best New Artist in 1998. She has a strong, solid voice, a deft hand at writing, and has had a number of songs on the charts. Salsa del Soul @ Union Depot, Saint Paul. 6:15pm – 9pm (Free) The evening begins with a 45 minute dance lesson for those who aren’t familiar with Latin dances, and then the 9-piece Salsa del Soul will play music for dancing in the spacious waiting room of the Depot. Band members include both Dave Graf and Scott Agster on trombone, as well as David Martin on bass, and Shai Hayo on timbales, so you know things will be cooking. It’s another good week for jazz in the Twin Cities, and though we only have one visiting artist (Joey DeFrancesco), we do have a couple of Chicago artists who perform hear regularly. We also have many outstanding players who would welcome your presence. On the blues and roots side of things, we have a couple of musicians who defined that 80s sound, some long time Twin Cities bluesmen, and some classical music as performed by a small choir. Music Lifts the Spirit. Anthony Cox: Continuum Series @ Jazz Central, Minneapolis. 8:30pm ($10 Suggested Donation) The first Wednesday of each month, crack bassist Anthony Cox hosts a group of musicians, and sometimes artists from other disciplines. They play, interact, and sometimes Cox opens it up for the audience to ask questions and take part. Jon Pemberton @ Vieux Carre, Saint Paul. 6pm (No cover) The pianist/trumpeter will be accompanied by bassist Matt Peterson, for dinner music that’s much more than dinner music. Here’s Jon in a trio format. Cory Healey’s Beautiful Sunshine Band @ Groundswell, 1340 Thomas Avenue, Saint Paul. 7pm ($7) It’s a three act evening as drummer Cory Healey brings his band to this corner coffeehouse. Besides Healey on drums, the band includes Erik Fratzke, bass; Zacc Harris guitar; Brandon Wozniak, sax. Also playing this evening: Graham O’Brien (unknown to me) and a group called And…And…End, featuring Noah Ophoven-Baldwin on trumpet; and Cole Pulice, sax. Maud Hixson and Rick Carlson @ Crooners Lounge and Supper Club, Fridley. 7pm (No Cover) You won’t find a more compatible duo than singer Maud Hixson, whose June Christy cool voice belies a warm execution, and pianist Rick Carlson, whose economical playing says so much with so little. Jana Nyberg @ Jazz Central, Minneapolis. 7:30pm ($10 Suggested Donation) Jana takes a holiday from the Jana Nyberg Group and sings with some other stellar musicians: Chris Lomheim, piano; Graydon Peterson, bass; and Phil Hey, drums. Here she is doing a classic Ellington song. Bruce Henry @ Crooner’s Lounge and Supper Club, Fridley. 7pm (No Cover) Henry, who now lives in Chicago, is back for a visit. He isn’t a crooner, though he could be if he wanted. Instead, he sings jazz and R&B songs like Freddie Hubbard’s Red Clay and Coltane’s Equinox, as well as Motown numbers that will make you dance. Joel Shapira Trio @ Parma 8200, Bloomington. 7:30pm (No cover) Joel Shapira combines his own supple guitar work with the brass of Pete Whitman’s stellar sax, and Tom Lewis’s fine bass. Here is Joel in a solo mood. Jay Young’s Lyric Factory @ Vieux Carre, Saint Paul. 9pm ($10) Whether he’s channeling Herbie Hancock, Earth Wind and Fire, or Michael Jackson, bassist Young and his Lyric Factory always satisfies. Graydon Peterson Quartet CD Release @ The Nicollet Cafe, Minneapolis. (Tip Jar) The Graydon Peterson Quartet is releasing a fine little CD entitled, oddly enough, Duets. It features nine tracks of original compositions played as duets between various member of the quartet: Peterson, bass; Adam Meckler, trumpet; Joe Strachan, keys; and Adrian Suarez, drums. Here’s one of the numbers. Butch Thompson Trio @ Jazz at St. Barney’s, 15600 Old Rockford Road, Plymouth. 7pm – 8pm ($10) Pianist Butch Thompson, together with Tony Balluf, clarinet; and Steve Pikal, bass, play a combination of old time jazz and occasional blues. You couldn’t find a better trio in town for this music. Here’s Butch with a different trio. Steve Cole @ The Dakota, Minneapolis. 7pm, 9pm ($20) The Chicago native has released 15 albums since his debut in 1998. With a saxophone sound that can be greasy or “smooth” Cole has recorded with Jr. Wells, Buddy Guy, Larry Carlton, Freddy Cole, and Boz Scaggs, among others. Special guest will be our very own Patty Peterson. Babatunde Lea Quartet @ The Black Dog Coffee and Wine Bar, Saint Paul. 8:30pm (tip Jar) Master drummer and conguero Lea has played with Pharoah Sanders and Stan Getz, among others, and had the first release of Motema Records. Tonight he leads Zacc Harris, guitar; Geoff Brennan, bass; and Phil Aaron, piano, in an evening of exciting music. Opening tonight at 7pm is the clever Exquisite Corps, with Dave Roos, guitar; Eron Woods, Drums; and Peter Susag, bass. All of their songs have a body part in the title. Paul Renz Quartet @ The Dakota, Minneapolis. 7pm ($5) He might be better known on the East Coast than here in town, but Renz s a guitarist that you should hear. His writing and playing are both melodic and inventive. Joey DeFrancesco @ The Dakota, Minneapolis. 7pm ($32), 9pm ($22) Since the death of DeFrancesco’s mentor, Jimmy Smith, DeFrancesco has become the leading light of B3 Organ music. I’ve seen him a half dozen times at least, and he’s always satisfying. 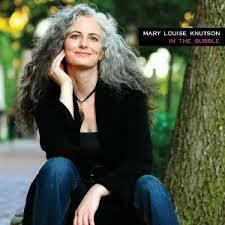 Mary Louise Knutson Trio @ Crooner’s Lounge and Supper Club, Fridley. 7pm (No Cover) Though I wrote about Mary Louise playing solo at the Vieux Carre last week, this week she’s joined by Gordy Johnson, bass, and Phil Hey, drums. Pardon the bad grammar, but to put it simply, it don’t get no better! Phil Aaron Trio @ Vieux Carre, Saint Paul. 8pm ($5) Aaron, piano; Gary Raynor, bass; Jay Epstein, drums. Another stellar trio, this time playing for those who want to hang in the city. Aaron can swing like mad, and makes difficult charts look like child’s play. John Beach Trio on KFAI and @ The 331 Club, Minneapolis. 5pm (90.3 & 106.7FM), 7pm (331 club – Tip Jar) At this point, John Beach is often described as Legendary John Beach. He’s been a fixture on the Twin Cities music scene of years, playing piano for Willie Murphy, Bob Dylan, Bonnie Raitt, Bo Diddley, and more… Tune in to find out who is playing with him. Joe Jackson @ the Fitzgerald Theater, Saint Paul. 7:30pm ($40 – $67.50) Musical wanderer Jackson has been all over the place, deftly picking up genres and disposing of them as soon as he’s conquered them. He first made a splash with the new-wavy Is She Really Going Out with Him in 1979 and subsequently explored reggae, salsa, jump blues, R&B and Jazz, film scores, and contemporary classical music,as well as a 2012 horn-free release celebrating Duke Ellington, but nevertheless including a duet with Iggy Pop. He’ll open the show with a short solo piano set before bringing on a full band. DJ Jake Rudh will spin pre-show music. Here’s a song from Joe’s recently released album. Captain Gravitone & the String Theory Orchestra @ The Black Dog Coffee & Wine Bar, Saint Paul. 8pm (Tip Jar) Vocalist/banjo picker Eli Hoehn leads this Americana sextet, through a repertoire that emphasizes acoustic instruments with a bit of rock undercurrents. Their new CD, A Real Fine Day (when the circus comes to town) features four brass and a violin as well, but I don’t know if they’ll be in the show. Madeline Peyroux @ The Dakota, Minneapolis. 7pm ($40 – $60), 9pm ($30 – $50) With a low-key style and a voice that evokes Billie Holiday, Peyroux has tackled a wide variety of material. She recently released a Best Of compilation on Rounder Records which includes songs from her 20[-year career including some Atlantic and Decca/Emarcy releases. Hymnos Vocal Ensemble: Lowertown Classics @ Lowertown Lofts, 255 Kellogg Blvd East, Saint Paul. 8pm ($10 Suggested Donation) Here’s an under-the-radar gig for those who appreciate classical music. In fact, you have to enter the artists’ building via its back alley, and make your way to the third floor atrium. Hymnos is a choir of 8-12 highly select mixed voices that has been performing a wide range of music, from Renaissance to contemporary, since being founded in 2011 by Eric Sorum. They will be joined by Jennifer Parker, voice, Eva Bnenke, classical guitar; and Chris Olson, guitar. There will be wine, coffee, pastries and candy. Papa John Kolstad and the Hot Club of East Lake Street @ Merlins, Minneapolis. 8:30pm – 12:30am. Papa John returns to Merlins on a Saturday night. John’s guitar playing, wry humor, and sly political asides, together with Sam Fiske, trumpet; Deano Mikkelson, guitar; and Bill Grenke, bass, makes for an entertaining evening. Bring your ID if you want adult beverages, and get there a bit early to get a good seat. Scottie Miller @ Crooner’s Lounge and Supper Club, Fridley. 7pm (No Cover) Miller has a new album, Reciprocation, and as with his last one, he’s rockin’ out a bit, though his New Orleans/Barrelhouse piano, and R&B beats still shine through. Hurricane Harold’s All-Stars @ Vieux Carre, Saint Paul. 9pm ($8) Though it’s slightly tonier than his usual haunts, Hurricane Harold, and his All-Star band of Twin Cities Bluesers will fit in just fine at the basement club. Plus, it won’t be hard to move tables when the dancing bug hits. Check out the Scottie Miller video above for one version of the All-Stars. 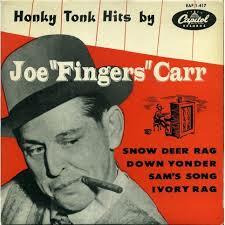 A very different Joe Fingers. Joe Fingers @ Dunn Brothers on Grand, Saint Paul. 7:30pm (Tip Jar) Joe Fingers is an ace fingerpicker, one of a number of champions that live in the area. Once in a while, though he may be ignored by Latte-drinkes perusing the internet, he just likes to play. Howard Jones @ The Fine Line, Minneapolis. 7pm ($40, $75) Another act that blossomed in the 80s and, in fact, helped define the synth-pop sound of that decade. He had 15 top 40 singles between 1983 and 1992 and have never stopped performing, still releasing albums (including podcasts) and writing. TheSubdudes @ The Dakota, Minneapolis. 7pm ($40-$45), 9pm ($35 – $40) The Subdudes deliverNew Orleans soulfulness, delivered with acoustic guitars, fine harmonies, and good songwriting. You are currently browsing the rhythm and grooves blog archives for November, 2015.